Out of the big mould. 16.6m Wescoaster fishing vessel in AMSA 3B survey. Powered by Caterpillar 3412, this Westcoaster will steam at 18 knots all day and produce a sprint speed of 23 knots. Well equipped with a 15KVA genset and Furuno electronics. This large volume Westcoaster combines economical fishing with great sea keeping ability and represents a top blue water vessel. 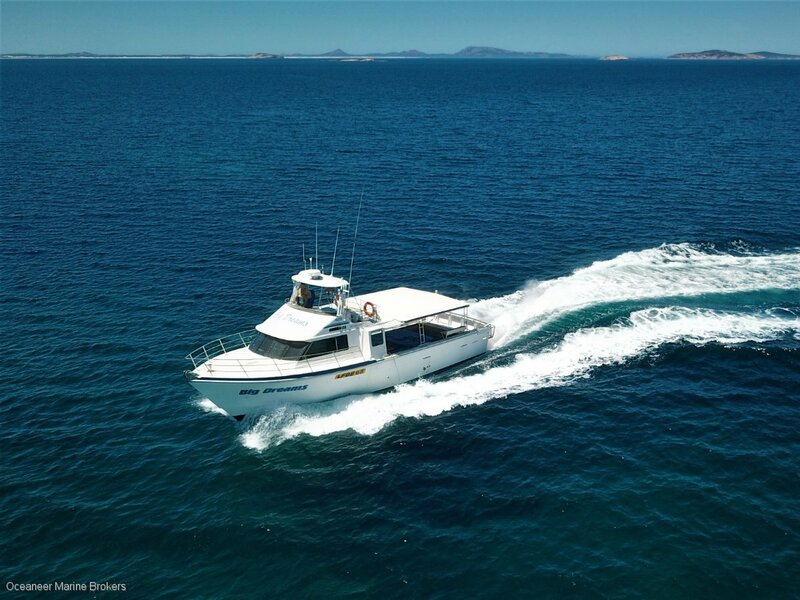 Features 3 station steering, double rails, great below deck live tank capacity and aircon wheel house. This is a highly maintained Westcoaster and presents extremely well. Please phone or email for full photos and vessel specifications.